Having the perfect vacation has never been easier, Spend 13 days Egypt tour Cairo, Alexandria, Nile Cruise & Hurghada among some of the most beautiful destinations with “Trips In Egypt“. Behold all the glorious landmarks in Cairo like the Giza pyramid complex, the Egyptian museum, and Salah El Din Citadel, then turn your eyes to the majestic monuments Luxor and Aswan while boarding one of our extraordinary Nile cruises. Enter the epic city of Alexandria and cast your eyes on the beauty of the Mediterranean sea and the unforgettable allure of the city of Hurghada. Don’t miss the chance and book 13 day best of Egypt tour. -Tour Location Will Be In Cairo, Alexandria, Luxor, Aswan, and Hurghada. -Tour Duration for 13 Days / 12 Nights. First Day : Arrival to Cairo"Welcome to the Land of Pharaohs"
After arriving at Cairo airport, our employee will be waiting at the entrance gate and assist you in ending all of your entry formalities and luggage identification, then you will be transferred to your 5* hotel in Cairo by an A.C car and the evening you will have a dinner cruise and enjoy a colorful belly dancing show with a folklore band featuring the "unforgettable Tanoura" spin with your tour guide this is the end of the first day of your 13 days Egypt tour, then return to your hotel in Cairo for overnight. After your breakfast, start a new interesting part of your Cairo, Alexandria, Nile Cruise & Hurghada journey in the land of wonder and adventure starting with "Giza Pyramids Complex" that dated to the 4th dynasty between 2580–2560 BC and holds one of the Seven Wonders of the World “The Great Pyramid of King Khufu” which is the biggest pyramid in history, the oldest statue in history and the protector of Egypt “The Great Sphinx”, and the mesmerizing ”Valley temple” where the mummification process took place. Enjoy your lunch at a Nile-pyramids view restaurant, then move to oldest Pyramid in history “Saqqara Step Pyramid” that dates back to the 27th century B.C and the first capital of ancient Egypt and the House of god Ptah “Memphis city” that holds some of the most amazing artifacts. At the end of the day transfer back to your hotel in Cairo and overnight. Have your breakfast, then continue your tour in Cairo with a visit to "The Egyptian Museum" which holds more than 120,000 rare genuine artifacts including (King Tutankhamen) impressive treasure collection that date over than 3.500 years. 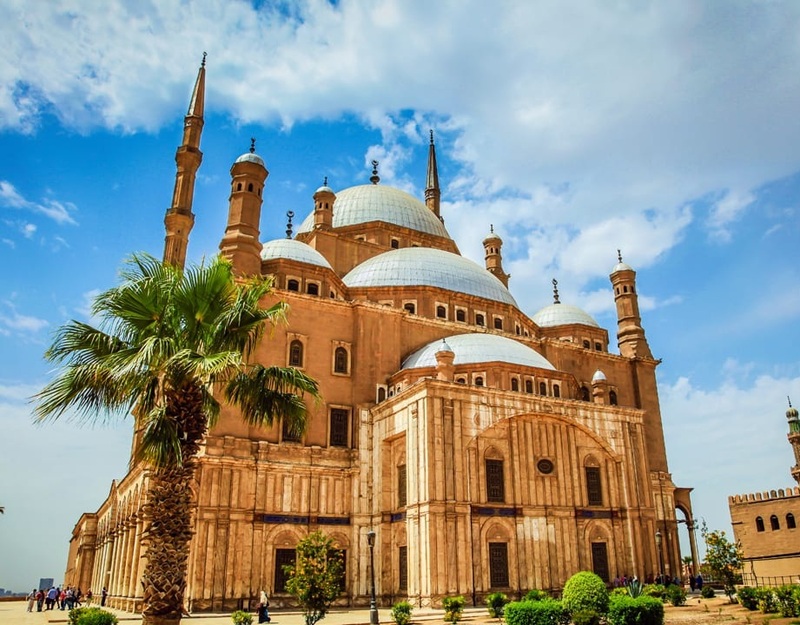 Your lunch will be served at a local restaurant, then head to the mighty "Salah El-Din Citadel" that served as the main headquarters till1860’s and contains the famous "Mohammed Ali Mosque" a.k.a “The Alabaster Mosque” which is an exact replica of the Blue Mosque in Turkey. End your tour in Cairo with a visit to the oldest street in the middle east the magical “Khan EL Khalili Bazaar" then transfer back to your hotel in Cairo and overnight. 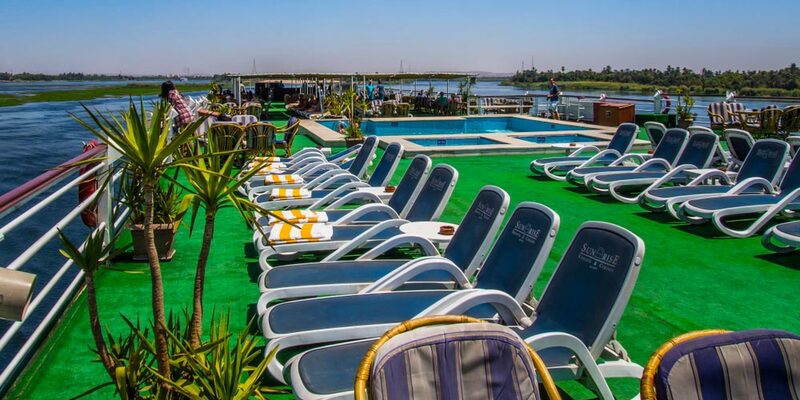 Enjoy your breakfast at the hotel, then check out and we will transfer you to Cairo Airport to catch the flight to Aswan, upon arrival meet your Egyptologist tour guide to visit head to the stunning "High dam" which was constructed in the mid ’60s and had a positive effect on the culture of Egypt. have your lunch then you will Continue to the fascinating "Unfinished Obelisk" of (Queen Hatshepsut) and the amazing "Philea temple" which was built to honor many gods like (Isis) and (Hathor) between 380-362 BC and is currently located on "Agilkia Island". In the early morning, join your private Egyptologist tour guide, then transfer by an A.C car with your breakfast boxes to visit "The Two Temples of Abu Simbel".The temple is known to be a true work of art, the temples were carved out of the mountainside in 1200 BC during the reign of "Ramses II " and all the carvings, artwork, wall paintings, statues are extremely beautiful and tell incredible stories about "Ramses" victories at the "battle of Kadesh" and honor many gods like Ra, Amun, and Ptah. Enjoy your day in this fantastic place, then return back to your cruise for lunch and overnight. Continue sailing until you reach "Kom Ombo temple", the house of the crocodile god Sobek, accompanied with Hathor, Khonsu and the falcon god Horus which was built in "Ptolemaic dynasty". Then, turn your eyes to the "Edfu Temple" which is the house of the god Horus and the most preserved Greco Roman temple in the history of ancient Egypt and the source of the "Osiris myth". Continue sailing until you reach Luxor. Your breakfast, Lunch, and dinner onboard the cruise. 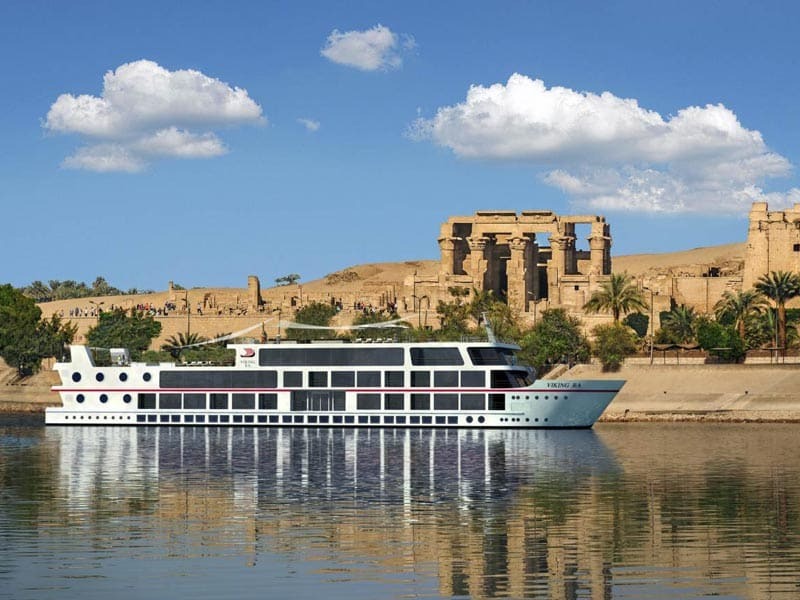 Enjoy your breakfast, check out from the cruise and join your tour guide to visit the biggest house of worship in the world the holy "Karnak temple" as it was rebuilt and enlarged many times through history on 247 acres of land. Have your lunch and accompany your tour guide to "Valley of the Kings" that hold the mummies of Egypt’s many kings and queens from the 18th to the 20th dynasty. The valley contains mesmerizing decorated well-preserved tombs of (Pharaoh Ramses) the second and the young pharaoh Tutankhamen that holds many precious and valuable materials. Then walk in "Queen Hatshepsut temple" which is a true example of the advanced level of classical architecture, the ancient Egyptians were able to reach as it was built on three levels and one of the most wonderful temples in Egypt. 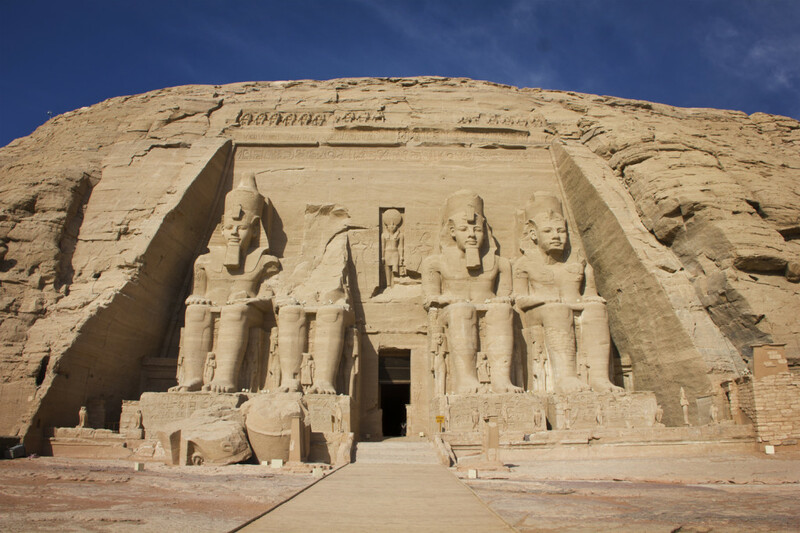 End your Nile cruise with a tour of "Colossi of Memnon" which are two twin massive stone statues of (Pharaoh Amenhotep III) made from blocks of quartzite that were moved 700 km from Cairo to Luxor. Finally, you will transfer to 5* hotel in Hurghada by a private A.C car to enjoy the second part of your 13 days Egypt tour. 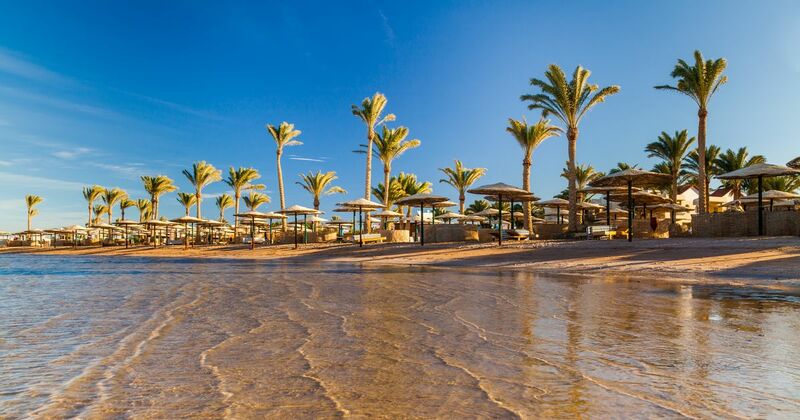 In the morning time, you will spend some amazing time in Hurghada charming beaches. Enjoy with one of most days fun at your 13 days Egypt tour it's snorkeling excursion in the best resorts in Hurghada Red Sea. Take part in an amazing Safari trip by quad and B.B.Q dinner. Enjoy your breakfast, check out from the hotel, then we will transfer you to Hurghada airport to catch your flight back to Cairo and check in at 5* hotel. Morning time, have your breakfast at the hotel, then join your tour guide to have a tour of the second capital of Egypt "Alexandria". Your tour guide will take you to the enchanting "Catacombs" which is a famous (Roman burial)' site and one of the seven wonders of the middle ages as it perfectly combines the Egyptian, Roman, and Greek cultures and architecture into one complete piece of art. Continue your tour by observing the glorious "Pompey's Pillar" which is known to be the only free-standing Roman column outside of Europe. Keep your tour going by visiting "The Citadel of Qaitbey", a majestic 15th-century stronghold fortress on the coast of the Mediterranean seacoast, built by Sultan (Al-Ashraf Qaitbay) in 1477. 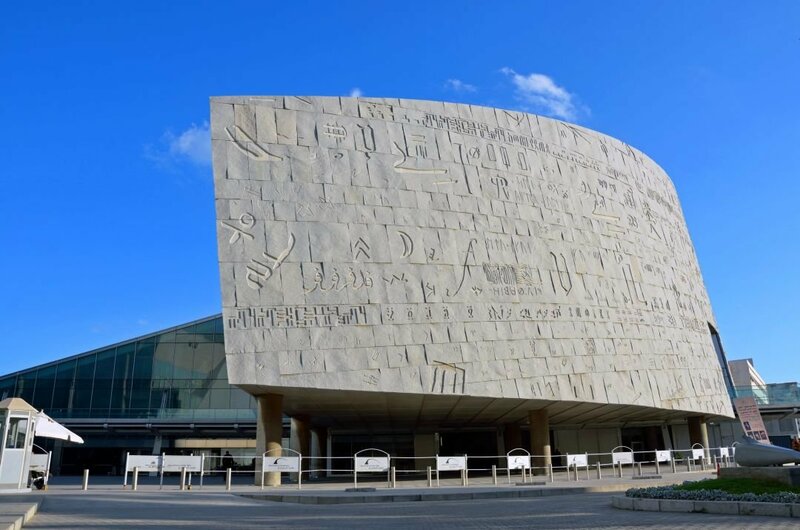 End your entire tour with a visit to the magnificent "Alexandria Library" which holds a copy of every book published in the world, a unique collection of rare antique books and works on commemorating the memory of the original library of Alexandria. At the end of the day, we will return you back to your hotel in Cairo by a private A/C Car. Enjoy your breakfast in the hotel, then check out and transfer to Cairo airport where our employee will finalize all the necessary formality to end your 13 days Egypt tour. Accommodation at 5*hotel for 5 nights in Cairo. 4 nights accommodation in Hurghada at 5*hotel. 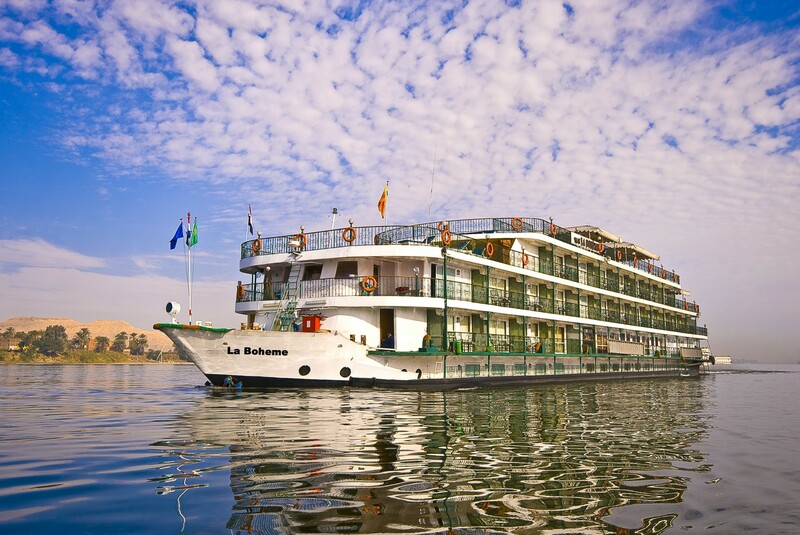 3 nights on a 5*deluxe Nile cruise. All the transportation will be a private modern A.C car all across your destinations. A private expert Egyptologist tour guide through all your trips. Domestic flight tickets from Cairo to Aswan and from Hurghada to Cairo. All the service charges, taxes, and entrance fees are all mentioned in the itinerary. Your tour doesn’t include the international airfare.